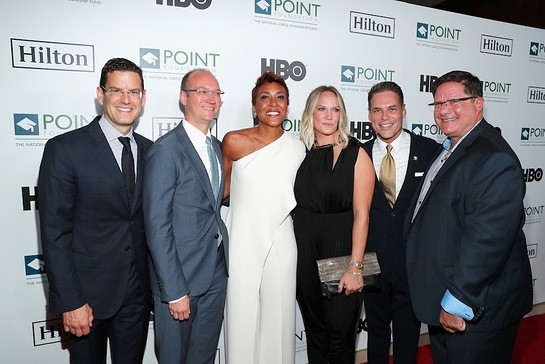 Point Honors Los Angeles brought 400 guests to the storied ballroom of the Beverly Hilton Hotel last week for a celebrity-filled gala evening in support of Point Foundation (Point), the nation’s largest scholarship-granting organization for lesbian, gay, bisexual, transgender and queer (LGBTQ) students of merit. Nearly half a million dollars was raised for higher education scholarships, as well as Point’s mentoring and leadership programs. Comedian Cameron Esposito hosted the inspiring evening, with a performance by Our Lady J, as well as an ensemble performance by India Carney, Jennifer Foster, James Harper, Mario Jose, and Lydia Luce. Celebrity attendees included Cas Anvar, William Belli, Jeffrey Bowyer-Chapman, Hayden Byerly, Steve Cederquist, Suzanne Cryer, Jack Falahee, Wendi McLendon-Covey, John Savage, Jason Stuart, Matt Walsh, and Morgan Walsh. Also attending were past Point honorees, Adam Shankman, Neal Baer, and Pete Nowalk. 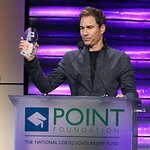 “The encouragement and support for LGBTQ students from everyone who attended and made Point Honors Los Angeles a great success, will allow our scholars to complete their degree, face the world head on, and help make our communities, our nation and the world a better place,” said Jorge Valencia, Executive Director and CEO of Point Foundation.